Rockman Corner: Worlds Collide #9 Will Feature Every Robot Master Ever! I think they mean the Robot Masters so far. 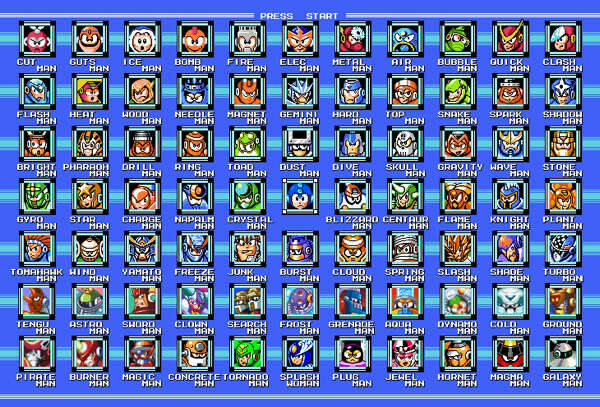 I mean, to get ALL of the Robot Masters, Wily and Eggman’d have to build a time machine and gather every RM. And God knows that we only have *this* much pages for a single issue, because come on, the last 16 pages will probably go to the Sonic 1 reprint. Oh boy now instead of dying in three pages each they can die three per panel each. So exciting. Spaz is slow. Like notoriously slow always has been always will be, it's why he got pushed to the side in the dark ages for far worse artists like Ron Lim. Sure he can draw wonderfully but that doesn't mean anything if he can't meet deadlines. Remember when Archie Mega Man was first announced and they had to delay the launch a few months? Yeah that was probably something on Spaz's end. So that's like, what, two robot masters down each panel? I only now realized I did not clarify "the dark ages", I meant "the dark ages of Archie Sonic" sorry bout that. (@ZeroX) Keep in mind that whatever Wily and Eggman has done is rewritten both Mega Man and Sonic's realities. It's why Break Man is suddenly Proto Man, Bass and Duo are around, etc. It basically takes place in the future. @9:04 Anon: Ooooorrrrrr, you know, it could be one humongous battle, rather than a few one-on-one skirmishes. Geeze, and I thought I was a whiner. That should make for quite a splash page. It still won't be much compensation for the rest of the comic (especially since Sonic's detestable pals will be in the same drawing). I'm personally thinking it'll be ALL of them. Even though this solicit says "all of the Robot Masters," a document on Archie's digital store worded it as "every Robot Master... ever!" This definitely sounds like they're going to cram every Robot Master into this issue. And for those who don't understand how that'd work, let's not forget that the exact canon of this crossover is still in question. If we can randomly have Proto Man and Bass in the crossover even though neither has been formally introduced in the series directly before the crossover... 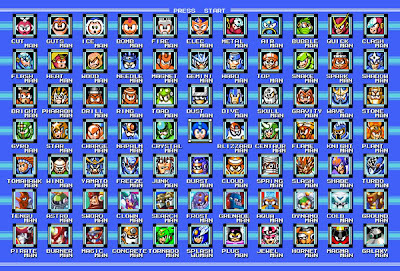 I don't see why we can't have all 80+ Robot Masters. @Steve Chase: Hello, Issue # 20: Mega Man got jumped into the future, got attacked by Bass, who then tagged along for the jumps to 8, 8.5 (MM&B), 8.75 (RM&F2), 9, & 10 before they both put an end to the jumping. I think THAT counts as introducing Bass directly. Also, don't get me started on the canon question, some Sonic Comic fans don't consider "Genesis" canon, even though its essential to the current storyline. @11:15 PM Anon: Interestingly, I posted a thread on a Sonic Comic fan forum & asked to "define" the comic's "dark age". I got a variety of responses: One said 'before issue 20' for the transition in the tone; many said 'after issue 50' or (Post-Endgame) as they felt the comic should've ended with Endgame; a few (such as myself) define 'after issue 70' for what we now call the "Mandate" from Sega to conform with the modern look and adapt SA1; others say 'before issue 160' for a lot of reasons (I'll spare you the details). @Rock-X: I'm still REALLY baffled why fans don't like the Genesis arc. I love it a lot, actually. I dunno 'bout you guys, but ever since getting my hands on Sonic comics last year (finally, I have copies! ), I've better appreciated the comic world (y'know the non-DC/Marvel comic world; I'm very updated with DC tho), and I actually love the Archie exclusive characters. And c'mon. Who doesn't like tormenting Antoine in their imaginations, even back in the days of SatAM Sonic?